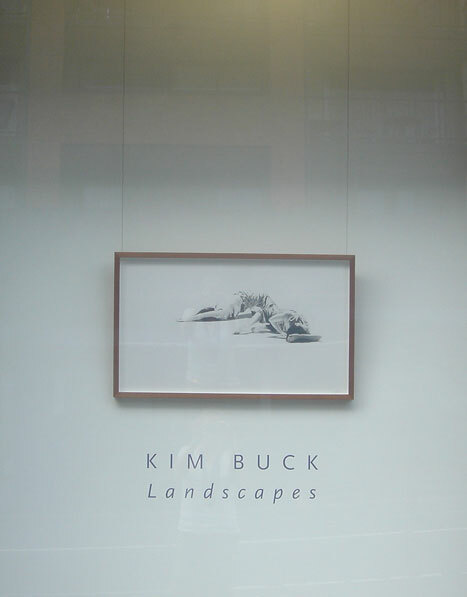 A wonderful month for Kim with the opening of her exhibition Landscapes at Jan Murphy Gallery. The culmination of 12 months work, Landscapes is inspired by the magnificent terrain of the Blue Mountains, where Kim has been based this year. Kim says of the exhibition: The mountains draw artists to them and I, too, have felt their pull. While I am no landscape painter, it is impossible not to respond to their quiet calling. The work in Landscapes is my reply. View the exhibition online: http://janmurphygallery.com.au/stockroom.php?aid=100 or visit the gallery at 486 Brunswick St, Fortitude Gallery, Brisbane before December 17th. I more exciting news this December, Kim was announced as the winner of the $5000 Prospect Self Portrait Prize with her drawing Conatus Study. Now in its 7th year, the Prospect Self Portrait Prize is a national award, attracting an eclectic range of entries from across Australia. View the finalists at Prospect Gallery until January 2 2012.